Designer Chuck Mack has created a desk supported on trestles; a glass worktop which makes the content of your drawer visible to everyone. 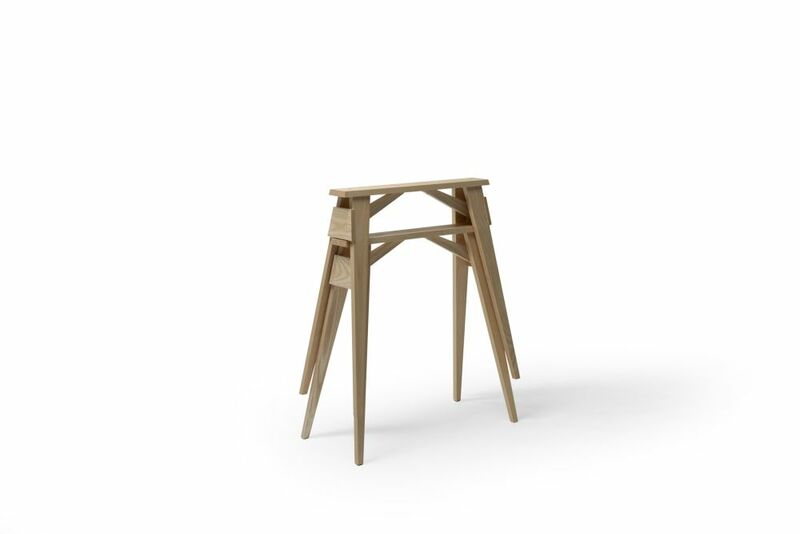 The construction might seem simple, but Arco has several design features; the frame is attached to the trestles by wooden plugs to secure stability. The drawer is accessible from both sides of the table, and the tempered glass worktop has smooth, rounded edges to avoid accidents, and rests on small plastic distances that makes it stable. Altogether, it is obvious that Arco has been designed by a skilled carpenter. Swedish furniture brand Design House Stockholm uses soft tones and playful shapes that result in a light-hearted collection with a sense humour.